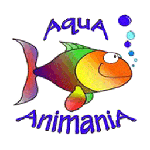 AquA AnimaniA is your #1 local source in Windsor, Essex County and Beyond, for aquarium filters for freshwater, tropical, saltwater and reef aquariums of all shapes and sizes! An aquarium filter is essential for maintaining clear water in an aquarium. For fish that require extremely clear water, such as cichlids, more than one type of filter should be considered. This also provides a form of insurance in case one of the filters stops working. We provide friendly, expert advise and tips plus carry a full line of aquarium kits, aquarium heaters, aquarium pumps, aquarium supplies, aquarium tanks and an endless selection of aquarium accessories and much more! Below we have included a few select filter lines and general product information. Be sure to inquire, or visit our store in person, to see the complete aquarium filter selection we have available, in-stock. We can also special order unique items and other products from our vast network of national and international partners and suppliers. Removes particles from the water. Provides areas for helpful micro-organisms to live. Changes water quality by adding oxygen or removing ammonia. The External Power Filter is very common and inexpensive. It draws water from the tank and passes it through filter material such as sponges, carbon and zeolite. The sponge can provide mechanical filtration by removing particles. It can also provide biological filtration by providing a perfect surface for micro-organisms to grow on. Rinse the sponge instead of throwing it away – it is housing valuable life forms that can’t be seen. External Power filters often contain zeolite to remove ammonia and carbon to increase oxygen content. This is referred to as chemical filtration. The carbon and zeolite should be removed when using medications, to prevent the medication from being quickly removed from the water. Evaporation is significant with External Power Filters, but less than if a Bio Wheel is installed. The External Power Filter with a Bio Wheel is more difficult to obtain, but is highly recommended for its biological filtration. Micro-organisms develop in the wheel and the constant aeration from the turning wheel increases the capability of these life forms to convert harmful ammonia, as well as supplying oxygen to the water. The filter is replaced, but the bio-wheel is retained. With a Bio Wheel, gravel is not necessary as the wheel provides all the necessary biological filtration. Bio Wheels have a downside, in that they will put fish at risk if the wheel stops moving, as half the helpful micro-organisms will no longer be available. A Bio Wheel also increases evaporation even more than a simple External Power Filter. Make sure you remove water instead of just topping up for evaporation, to prevent minerals from building up in the aquarium. The External Canister Filter allows the filter to be placed competely out of sight. The most commonly available external canister is the Fluval Canister Filter made by Hagen. These come with tubing to position the canister out of sight. They also allow a number of media to be added to the canister, such as zeolite, carbon and peat. They are mainly useful for chemical and mechanical filtering. The Wet/dry Filter is also known as a trickle filter. It uses a pump to remove water from the tank and then pass it down a tower. The tower is filled with material such as bioballs for biological filtration. The filter material is continuously exposed to water and air, thus increasing the capacity for helpful bacteria to form in well oxygenated water. This explains the term wet/dry. The wet/dry filter is similar to a power filter but allows the water to flow completely down past the filter while still exposing the filter element to air. It is also larger and more powerful than a power filter. Wet/dry filters can also have chemical and mechanical filtration devices attached to them. Wet/dry filters require very little maintenance, but, as with the power filter, evaporation is a problem. There are numerous varieties of wet/dry filters and it is common for aquarists to build their own version. Under Gravel Filters are readily available. They provide one of the best methods of biological filtration. An air pump provides circulation, which draws water through the gravel. This promotes excellent micro-organism growth to convert harmful ammonia in the tank. One reason the Under Gravel Filter isn’t as popular as other filters is because areas of gravel not covered by the filter can become toxic. If your Under Gravel Filter doesn’t cover nearly all of the bottom surface, it shouldn’t be used. Be careful about turning off the air pump too, since this will kill micro-organisms and cause an ammonia spike. Despite these downsides, an Under Gravel Filter can outperform an External Power Filter with a Bio Wheel. The underground filter will also need an air pump to power it. The Internal Canister Filter uses air to force water through a filter material in the tank, such as a sponge or days gone by – fiber glass. Internal canister filters are not frequently used in home aquariums as they take up valuable tank space and they are unsightly. They are sometimes used in retail stores and wholesale operations. Many retail stores use more complicated systems which remove the water from the tank, filter it and return it. These systems can include pumps that change the water at the same time. Aquariums and ponds welcome a part of nature into our homes, yards and gardens, that we may never otherwise see. Shaping these sunken communes, though, can come with a hefty price tag. After spending a fair bit of money on a pond and/or aquarium setup plus live plants and corals, you’re still missing the best part, the fish! Trust AquA AnimaniA for the highest quality and healthiest live aquarium plants, saltwater marine fish and freshwater tropical fish species in the industry. We also stock a wide variety of healthy and nutritious fish foods and live foods along with an endless selection of fish supplies. AquA AnimaninA also carries thousands of products for outdoor ponds along with various species of healthy pond fish and pets plus countless pet supplies and a whole lot more! 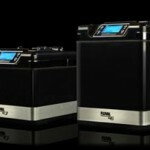 The Next Generation in Aquatic Filters!